Bonnier Broadcasting-owned Swedish broadcaster TV4 has launched dynamic customised advertising with Tele2-owned cable operator Com Hem and its digital-terrestrial unit Boxer. According to Bonnier Broadcasting, the launch with the Com Hem Play and Boxer Play services means that advertising can be customised in real-time to ensure that more relevant ads are served to customers. Targeting is based on locality, channel and screen size – with different ads served to tablets, mobiles and Apple TV for example. The advertising VOD-supported TV4 play service has turned to Swedish audience measurement outfit MMS to provide transparent metrics across multiple platforms. TV4 has previously made its targeted advertising platform available on the Telia Play service and the addition of Com Hem Play and Boxer Play means that it can lay a claim to be the only broadcaster to offer this on three of the country’s six main distribution platforms. “As we now launch dynamic advertising with Sweden’s largest TV distributor, we take another important step in the development of our advertising offer, where we create a future-proof model and increase the value for both the user and the advertiser. We want to be able to distribute our advertising on all platforms and this solution allows us to customise the advertisements on platforms other than our own, and it offers an increased reach as well. 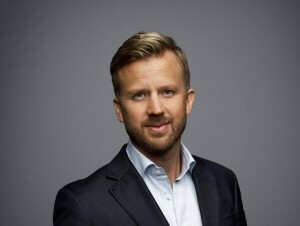 We are at the absolute forefront of developments in this area and are excited for the work Com Hem has put down to enable the launch of this solution,” said Bonnier Broadcasting´s COO Mathias Berg. “We always want to offer our customers the best and most relevant content, and with dynamically customised advertising, we can offer them a tailor-made viewing experience. This will not only improve the quality of the ad experience but also add value to the advertisers. It has been exciting to develop this solution together with TV4 and we look forward to launching it with more content providers in the future,” said James Lowther, head of broadband and TV at Com Hem/Boxer.